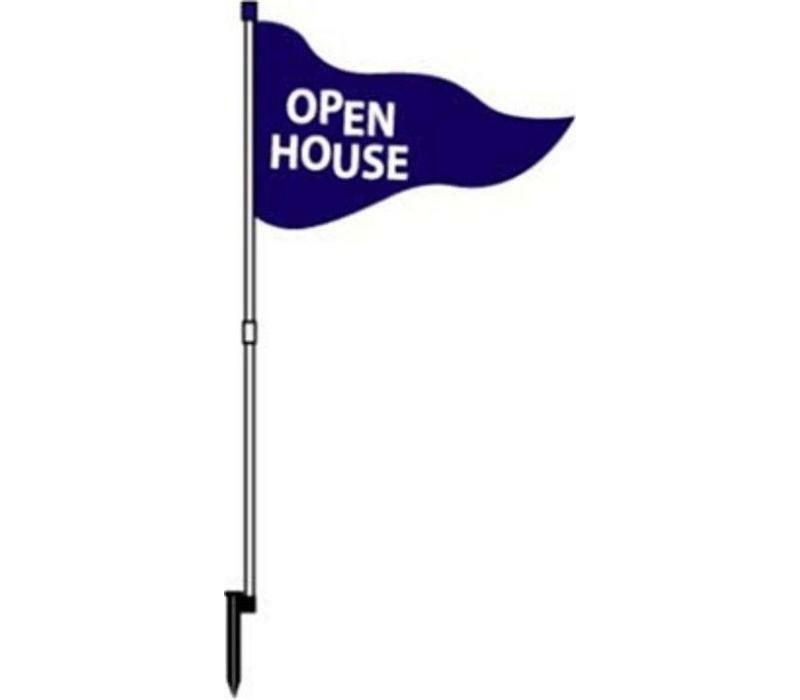 Open House Flag - Nylon Blue w/White Print on one side. 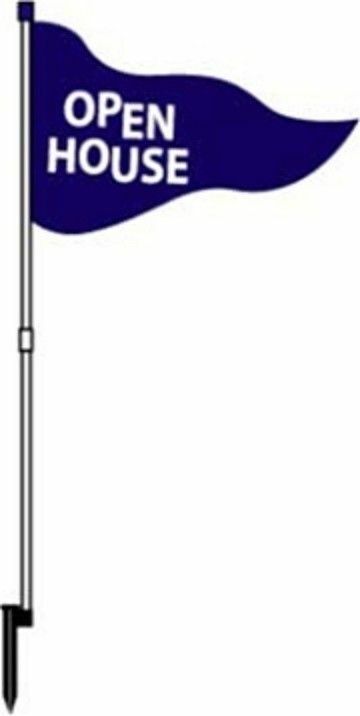 67" tall PVC Pole that separates in the middle for easy storage and transport. "Ultra Tough" Plastic Pounding Head Stake allows for easy sinking into the ground..